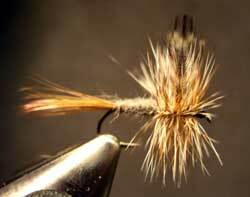 Fly tying classes are limited to two people to maximize instructional value. These classes are scheduled on demand and are conducted at Trout & About headquarters on the Gunpowder River. Beginning fly tying covers equipment, tools, materials and techniques. Eight common patterns will be learned over an introductory session and four tying sessions of two hours each. All materials will be provided, but vise and tools are needed. Classes are $150.00 per person. Individual tying lessons available for $30 per hour.